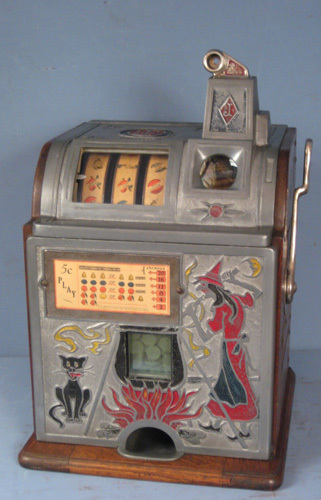 I am looking to buy a Mills QT Chevron penny slot machine with all original mechanics / hardware and in good working condition. Where are you located? I might be able to help you with your Mills problem and I just finished a QT Chevron 1 cent. It sounds like old slot man is giving you some really good help. He knows his stuff. If you were closer them three hours away I wouldn't mind driving. The troubleshooting is the fun part. Good luck. Thank you for your thoughtful response, Mike. I just got my mechanism working again and I am a happy camper. I agree, it was fun trying to figure out the cause. 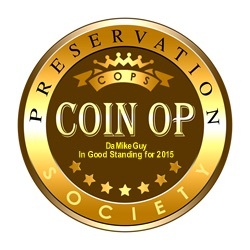 or even better, meet some folks on this forum that live in Columbus OH. I am still looking for the above referenced machine if you have one available or know of someone that does. I am in Columbus OH. I prefer an all original, unrestored version, but I am open to considering other options as well as other denominations.